Lovers of Beatles music are being urged to bring their Valentines to King’s Heath for Beatles Fest 2015 on Sunday 15 February. 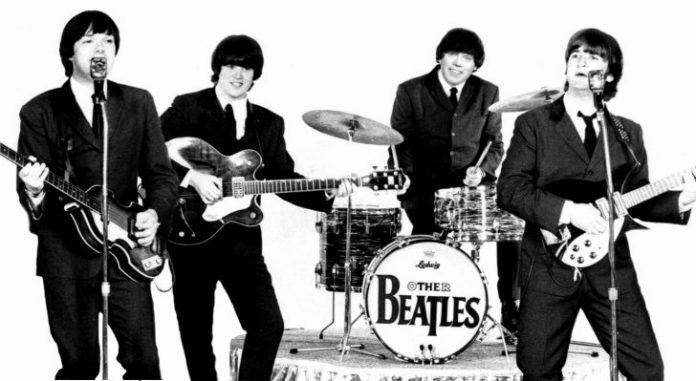 Starting with their first hit single “Love Me Do”, The Beatles wrote many classic love songs including “I Want To Hold Your Hand”, “She Loves You”, “All My Loving” and “All You Need Is Love”. And all of these songs will be sung at the two concerts that make up Beatles Fest 2015 commemorating the Fab Four’s Birmingham debut on 15 February 1963 at the old Ritz Ballroom on York Road which was sadly destroyed by fire two years ago. Back in 1963 one Beatles Fan’s Valentine’s wish really did come true when she was picking up her coat from the coat room after the concert and bumped into Paul McCartney. After giving her his autograph she followed him into the bar where he called her over to meet the rest of the band who gave her their autographs too. She then took up Paul’s kind offer of a lift back into town in their van where she sat on his lap and shared a kiss! Her autographs of the 4 Beatles signed at the Ritz Ballroom were then auctioned at Christies on 24 June 2010. From 3 p.m. to 6 p.m top local musicians will play their favourite Beatles songs in an acoustic session at Fletchers Bar on York Road directly opposite the former ballroom. Doors will then open at 7 p.m at the Hare & Hounds for a Special Concert by top Midlands tribute band The Born Again Beatles who last year starred at Liverpool’s Cavern Club where the Fab Four started out. Bob Prew and Ken Whittaker, joint co-ordinators of the King’s Heath Walk of Fame, said, “This year’s Beatles Fest in King’s Heath will be the biggest and best so far. We would urge fans to buy tickets for both events straight away as last year’s Anniversary event sold out very quickly with fans travelling from as far away as Lancashire, Yorkshire and Somerset”. When they did eventually make it on 15 February Beatlemania had really started to take off and the Beatles were only able to enter the Ritz by climbing up a ladder from Milford Place at the rear of the ballroom.. In fact, the Fab Four almost had to appear as the Fab Three after George Harrison arrived late by taxi and was trapped by screaming fans. Advance tickets for the afternoon Acoustic Session cost just £3 and are available from the Kitchen Garden Cafe on York Road, King’s Heath or on-line for £3 plus a booking fee from. wegottickets.com. Any remaining tickets will cost £4 on the door. Advance tickets for the evening concert by The Born Again Beatles cost £5 and are available from the Kitchen Garden Cafe or on-line for £5 plus a booking fee from www.hareandhoundskingsheath.co.uk .